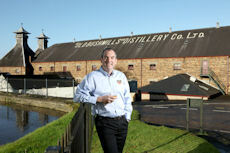 BUSHMILLS Irish Whiskey has finished the 2012 awards season with a sweep of accolades from some of the world’s most prestigious spirit competitions – twelve of which have been picked up in the last month alone. 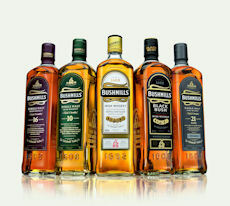 The recent awards include two gold medals for BUSHMILLS 21 Year Old Single Malt Irish Whiskey - one at the 2012 International Wine and Spirit Competition and another at the 2012 Spirits Business Irish Whiskey Masters. 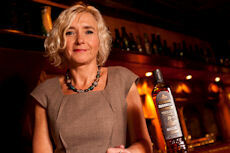 The medals bring the number of awards that the handcrafted BUSHMILLS range has won in 2012 to 32. This includes the accolade of ‘Best Irish Whiskey’ that BUSHMILLS 21 Year Old also picked up at the 2012 San Francisco World Spirits Competition. BUSHMILLS 16 Year Old Single Malt also picked up a coveted 'Master' award - the highest in its category - in the 2012 Spirits Business Irish Whiskey Masters. BUSHMILLS Master Distiller, Colum Egan, said: “It has been an incredible year already for us here at Bushmills and we have been thrilled with each and every award that has been bestowed on our beloved whiskies.